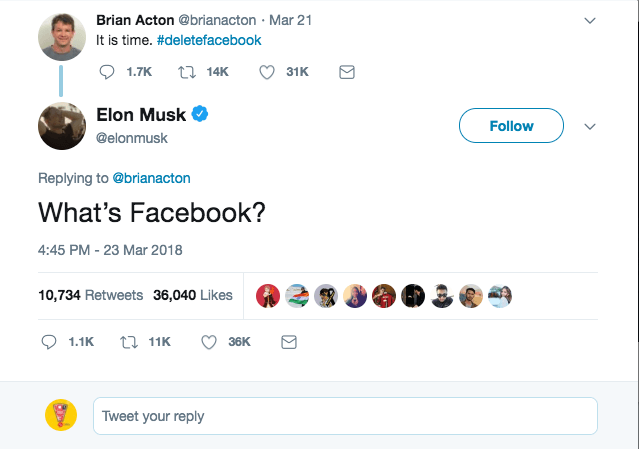 Popular South African born CEO of Tesla and Space X, Elon Musk has deleted two of his company’s Facebook pages after a Twitter challenge by Whatsapp Co-founder, Brian Action and other users to #deletefacebook. Can’t believe it? 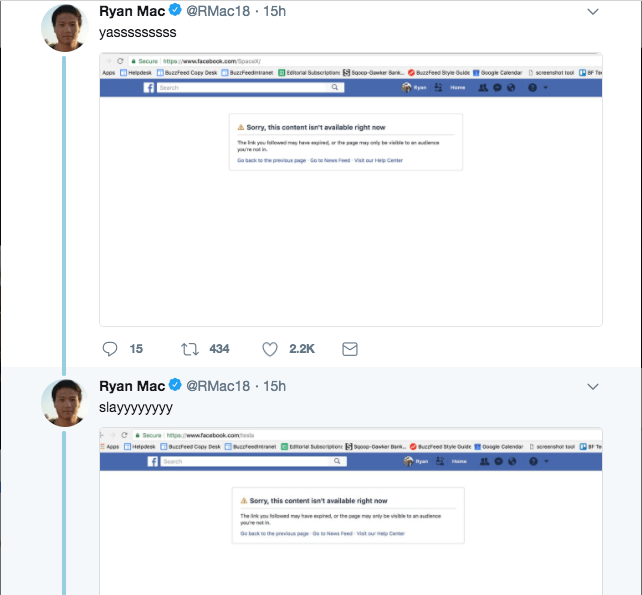 Anyone can search for the Facebook platforms. 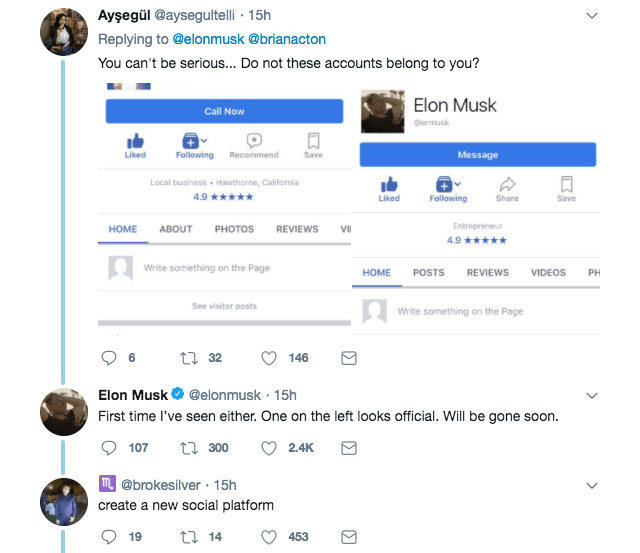 Now, remember that these two platforms were verified and both had over 2 million active users! 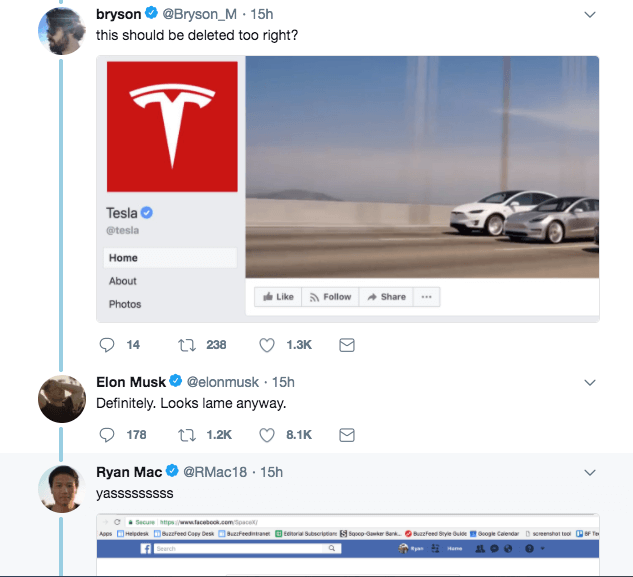 It’s a wonder what could have caused the business man to shade Mark Zuckerberg’s company that way. Well, we heard that the two moguls have always been at loggerheads and even last year, they were at war over robots. 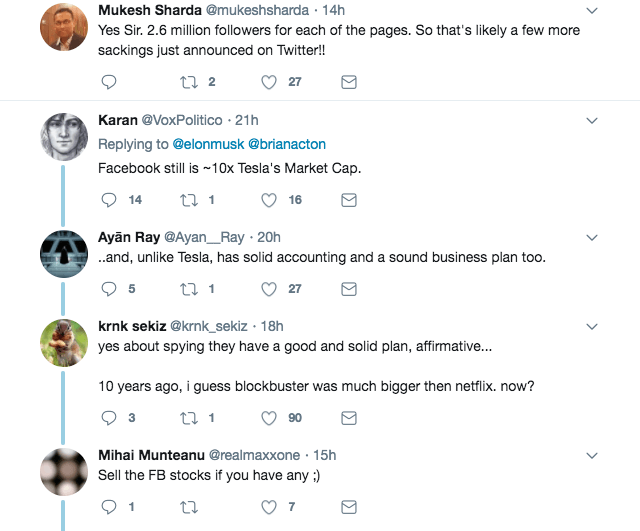 And now that the social media platform that boasts of 2.2 billion monthly users, Facebook has been under fire, it’s no surprise (or is it?) 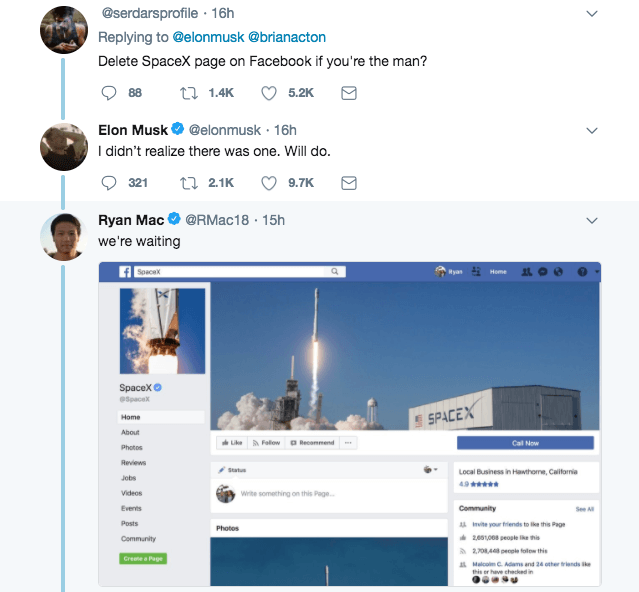 that Elon would do such a thing. The company is facing heat and is currently being investigated for mismanaging data of its users which was reported to have found its way in the hands of a British political consulting firm, Cambridge Analytical that worked for US President, Donald Trump in his 2016 election campaign. What?!! Yes, that may have happened. While the world continues to give different reactions to the issue, we are in Africa watching and sipping our palm wine.